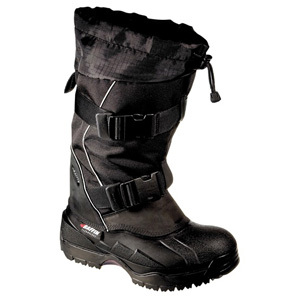 Rugged, lightweight, and exceedingly warm; wearing a pair is like walking on a cloud. 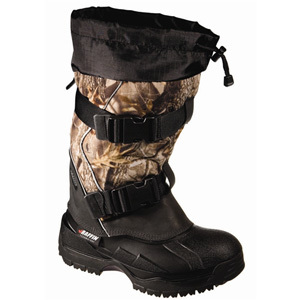 14" height with extendable built-in gaiter gives complete coverage and seals out snow. 8-layer inner Baffin liner with Thermaplus provides comfort, warmth and unparalleled moisture-transfer; reflective highlights provide visibility; power buckles make for easy on-off; waterproof and comfort rated to -100C/-148F. A perfect choice for ice fishing, snowmobiling, arctic expeditions, and staying warm wherever you are.